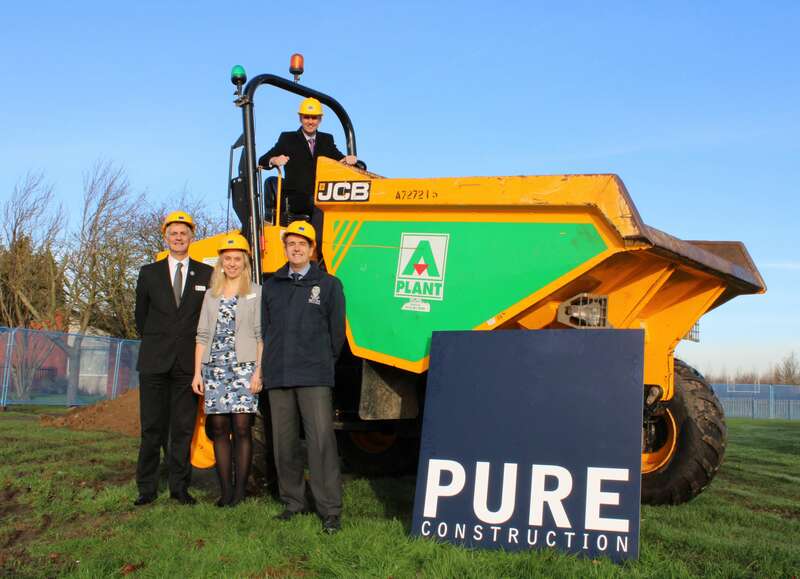 Headmaster, Mr Jon Reddin takes to the wheel, with Father Chris Cann (Head of Prep School), Miss Rachel Green (Head of Nursery) and Mr David Robson (Director of Finance), ready to break the ground. Ratcliffe College’s growing reputation for sport has been supported and enhanced by several new facilities in recent years, including a second full-size floodlit astroturf which opened in September 2017, a floodlit synthetic athletics track which opened at the same time, new floodlit netball courts, with the construction of a new two-storey fitness suite well underway and scheduled to open in February 2019. These new facilities are shared with a number of local county sports associations as well as sports clubs and schools, supporting community sport as well as Ratcliffe College students. Following the establishment of our unique partnership with Leicester City Football Club (through King Power), educating two cohorts of Thai Scholars, we have recently agreed a partnership with Leicestershire County Cricket Club, who will use the College’s facilities for all their under 12 to under 15 county home cricket fixtures from the summer of 2019, whilst providing expert coaching for our own students. 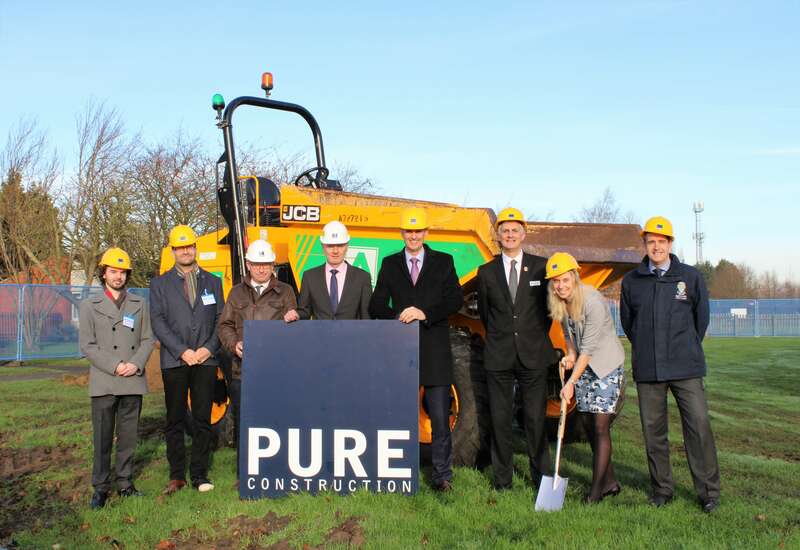 L to R: Ivan Tomasevic and Jon Crabb (Franklin Ellis); John Maycock and Simon Ellis (Pure Construction); Ratcliffe College staff: Headmaster, Mr Jon Reddin, Father Chris Cann (Head of Prep School), Miss Rachel Green (Head of Nursery) and Mr David Robson (Director of Finance). All ready to break the ground.